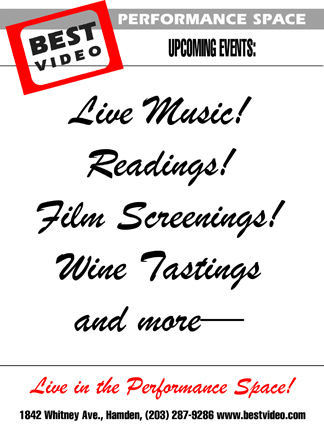 The Podunk Throwbacks play Best Video Performance Space Thursday, Feb. 7. The show starts at 8 PM and the cover is $5. “Throwback” to a time when songwriters did not “woo” listeners with familiar covers while slipping their own works in between but believed in their songs enough to allow them to stand on their own…. that’s The Podunk Throwbacks. Songwriter, Todd Skilton, combines life experience with jazz, rock, country, folk & classical influences, providing a little something for everyone to relate to. Together, the Podunk Throwbacks take these musical perceptions of life and “throw them back” with a unique sound, no “gimmicks” or formulation & an energy that keeps the audience engaged. 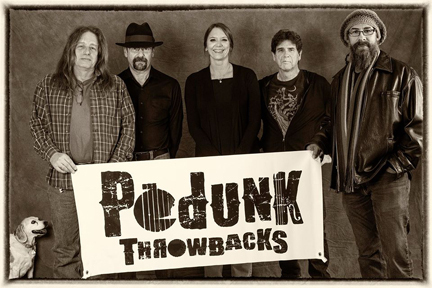 The Podunk Throwbacks began as a duo in 2012 and evolved into a 5-piece band over the years. They have taken their 3 hours of originals from coffeeshops and hardware stores to the Meriden Daffodil Festival, Podunk Bluegrass Festival Acoustic stage, the Durham Fair and more. They released their first cd, “Emotional Hemophilia” in 2017, and are getting ready to record their second in the upcoming months. The group is Todd Skilton (guitar, vocals), Lou DiBacco (bass), Xavier Pietri (percussion), Al Gillette (lead guitar) and Amy Jones (violin).